What is California Worker’s Compensation Law? Facts About California Workers Compensation Law – The state of California’s Worker’s compensation system is a no-fault system for those who are injured for reasons connected to their employment. It shouldn’t matter whether the injuries are specific, disabling, or disease related- the employer of the injured party is required to pay for worker’s compensation insurance in order that injured employees are covered for damages in the case of an accident that results in injury. You may not need a workers comp claims attorney to represent you in order to file a Worker’s Compensation claim, but your employer and the company may well be represented and they will probably try to keep any payout to an absolute minimum or else they will fight the claim outright. The misconceptions of workers compensation claims can sometimes deter employees from seeking settlement. Making use of info offered by The California Department of Financial Solutions, the following are a few of the most typical concerns relating to workers’ compensation. 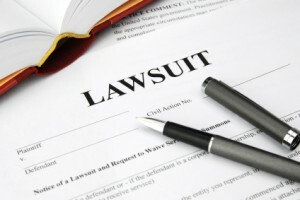 Do I need an attorney for my California workers compensation case? While one can legally represent themselves on a workers compensation court case, having a lawyer or attorney will make the task significantly less difficult and a lot easier to get through. Without any law experience, it will be difficult to correctly complete every one of the measures necessary for an effective court case. A solid performing understanding of workers compensation procedures, when retained through insurance coverage adjusters as well as their lawyers, decreases the possibility of an adverse ruling, leading to a a postponement or refusal of applicable workers comp. benefits. It’s a better decision to hire a lawyer than to go down the path of losing complete compensation benefits for yourself on the basis that you do not know how to assert your rights. So Yes – Hire a good Lawyer to help with your case. Any injury sustained by a worker performing duties related to their task is thought about job-related. These can include an abrupt accident or repetitive movement injury; for example, a typist establishing carpal tunnel syndrome, or any health problem stemming from the nature of a person’s work. Does my injury certify me for workers’ comp? California workers’ compensation is offered to employees who suffered traumatic physical injuries, duplicated trauma injuries, mental injuries, and occupational conditions. Call a lawyer to determine the likelihood of it applying to you. Just how much time do I have to report my injury and file a claim? An injury must be reported to an employer within 30 days. An injured worker then has a one-year window, or possibly up to five years in certain unique circumstances, to file a workers’ payment claim at the WCAB. Exactly what benefits am I entitled to? A company’s health care service provider is needed to pay for essential medical therapies, prescription, rehab, and testing drugs connected with a work injury. Death benefits, payment for missed work time, and payment for irreversible impairment could also be offered. A specific receiving employee's’ settlement is entitled to two-thirds of their gross earnings (tax free) from time lost to up to 104 weeks. It is a form of wage replacement, not reimbursement for missed hours. An employee’s very first check is generally received within 21 days of reporting their injury to an employer where a doctor has certified that they cannot perform their usual and customary job duties and the employer cannot offer modified work within the restrictions set out by the physician. Can my company fire me? 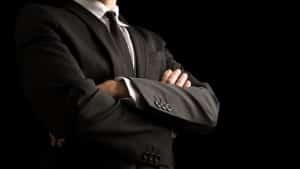 It is against the law to fire a person just for submitting a worker’s payment claim. Under Labor Code 132(a). remedies are available that increase the size of an award if it can be shown that a firing occurred as a result of reporting. Workers’ compensation prohibits many types of lawsuits against one’s employer, indicating that a harmed employee cannot generally bring an injury claim against their company in civil court under traditional tort law theories of liability. There are exceptions to this rule making it imperative to seek attorney advice as soon as possible to protect the right to sue in civil court. An employee can, however, file suit versus a third party (person or entity other than the employer) thought to have actually added to a mishap and injury. Such entities could be products manufacturers, employees of other companies, or anyone belonging to the general public who caused an injury to someone on the job. What if I triggered my own injury? Under California statutes, employees’ settlement is payable regardless of fault or cause of injury. The most common exceptions to this guideline is where a worker’s injury was caused by any form of intoxication on the job or with willful intent to damage oneself. Exactly what should I do if my employer will not report my injury? A claimant deserves to report their injury straight to their company’s insurance coverage company in such a scenario. What if Worker’s Compensation isn’t enough? 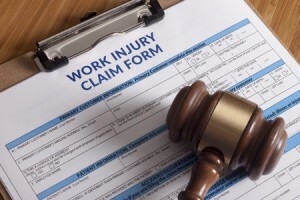 When a person is injured at work, the only answer they’re likely to get is that the only workers’ compensation benefits they will receive will come from their employer’s worker's compensation insurance, and workers compensation attorneys can help victims of workplace accidents to learn whether or not they should pursue civil action. Most of the time, this is the case. There are many exceptions, however, circumstances in which the injured person has the legal right to sue for damages. Such circumstances include: Injury caused by malfunctioning equipment or a defective product. In such a case, the injured party may bring a products liability action against a manufacturer, or against whoever is responsible for the condition of the products or equipment that has caused the injury. In cases where a person is injured by a toxic substance, a toxic tort suit may be brought against the manufacturer or liable party. Serving local Southern California cities – Los Angeles, La Verne, Rialto, Azusa, San Gabriel Valley, Montclair, Rancho Cucamonga, Ontario, Walnut, Upland, Pomona, San Bernardino County, San Dimas, La Puente, Inland Empire, Baldwin Park, West Covina, Riverside, Diamond Bar, Covina, Riverside County, Fontana, Claremont, Glendora, Colton, Los Angeles County, Chino, San Bernardino, Chino Hills. Contact an Attorney Who Knows the Facts About California Workers Compensation Law?